A team of paleontologists has potentially made the find of the century, having discovered a fossil graveyard that they say contains “extraordinary evidence” that the asteroid that smashed into the Earth 66 million years ago is responsible for the extinction of the dinosaurs. The remarkable findings are all part of a study published by PNAS (Proceedings of the National Academy of Sciences of the United States of America). The New Yorker was one of the first publications to run with this amazing story; however, it seems the article itself doesn’t jibe with the study’s findings. LiveScience’s Senior Writer Mindy Weisberger didn’t fail to notice this. The article paints the picture of a graveyard filled with Pterosaurs, small mammals, and “almost every dinosaur group known from Hell Creek,” at the site, in North Dakota’s Hell Creek formation. But in the study, the paleontologists — from the University of Kansas and the University of Manchester — make no mention of finding dinosaurs, save for one isolated and incomplete hipbone. In their study, the researchers describe a deposit that’s about three feet thick (about 1.3 meters) and full of fossils of freshwater fish, ammonites (extinct relatives of the modern-day nautilus), animal burrows, and plenty of vegetation. And that means the site is a treasure trove for paleontologists, a virtual zoo of Cretaceous creatures that were buried all at once, Weisberger notes. 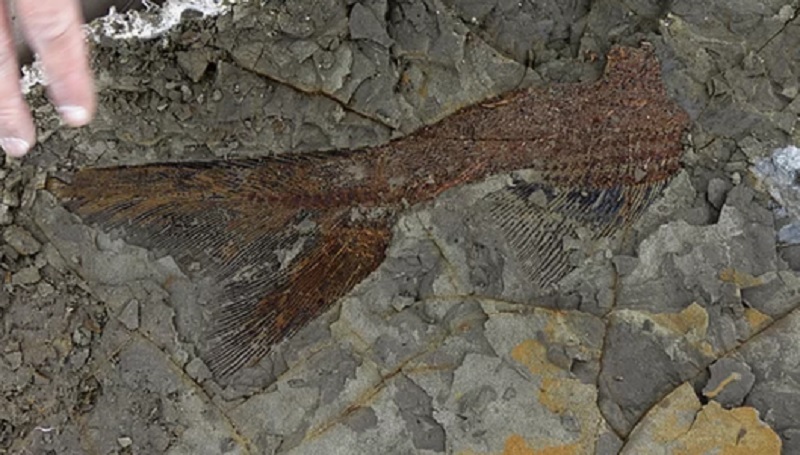 The fossils are a “motherlode of exquisitely preserved animal and fish fossils,” according to a study published Monday, CNN reports. When the asteroid plowed into Mexico’s Yucatan Peninsula 66 million years ago it created the famous Chicxulub Crater. One of the most destructive events in Earth’s history, it wiped out an estimated 75 percent of plant and animals species worldwide. And the asteroid struck with such force that it triggered massive tsunami-like surges and pelted the planet with torrents of rocks in the form of fine sand and glass beads. “A tsunami would have taken at least 17 or more hours to reach the site from the crater, but seismic waves — and a subsequent surge — would have reached it in tens of minutes,” said paleontologist Robert DePalma, the study’s lead author. The calamity left behind “a tangled mass of freshwater fish, terrestrial vertebrates, trees, branches, logs, marine ammonites, and other marine creatures,” said DePalma, a doctoral student from the University of Kansas. And when the asteroid hit, it signaled the end of the Cretaceous period (145.5 million years ago to 65.5 million years ago) and the beginning of the Paleogene. Sandwiched between layers of Cretaceous and Paleogene rocks, the densely packed fossils show these creatures all died at once. 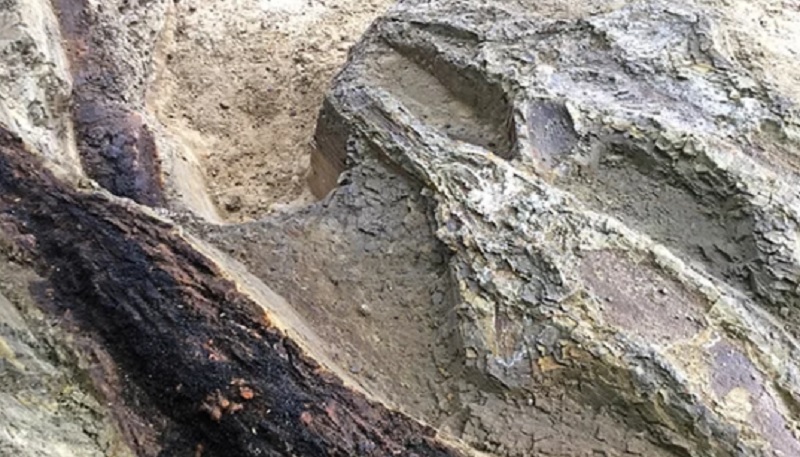 “Their presence there, and the presence of all the other details in sediments is helping us to tease out all the little, tiny details that occurred in the first moments after the impact that were unclear before this discovery,” DePalma said. A “Raiders of The Lost Ark” fan, DePalma named the site “Tanis” the city that, in the movie, hid the famous Ark of The Covenant. More than 50 percent of the freshwater fish found at the site died bearing tiny glass balls (called spherules) embedded in their gills. The entire site, in fact, was riddled with spherules that ranged in size from 0.01 to 0.06 inches (0.03 to 1.4 millimeters) in diameter. Also called tektites, these glass beads were formed by droplets of melted rock which were flung into the atmosphere as a result of the asteroid’s impact. Within minutes they plummeted earthward. Fish and other creatures at the site inhaled and choked on the tektites and were subsequently buried by debris, the researchers said. And the spherules were also found embedded and perfectly preserved in amber associated with tree trunks and branches, leading the researchers to believe the spherules and the fish were buried at the same time. An enormous 34-foot wave followed, surging into the river’s valley from the sea, carrying sand and mud that buried the hapless creatures and plants. Flowing from West to East, the water surged in the opposite direction of the river’s flow. And this is why the scientists know the mass deaths weren’t caused by typical flooding. 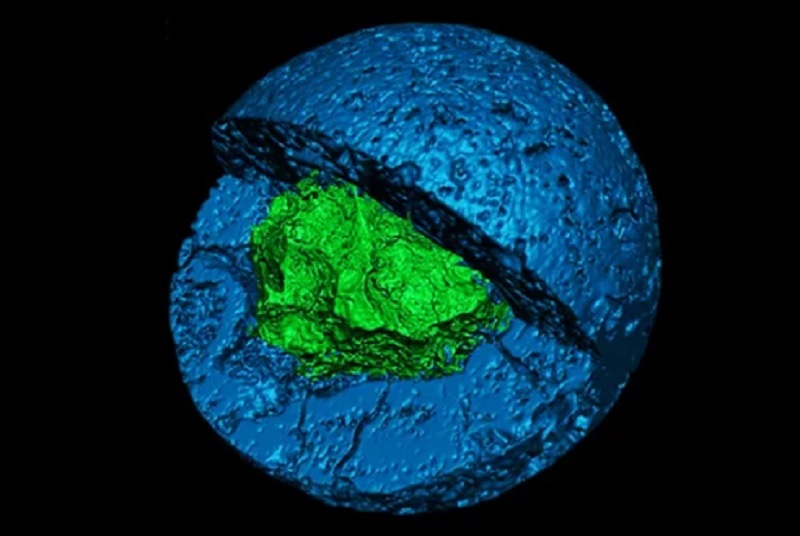 The only thing that could create the mass deposit was a tsunami, or possibly a seiche (an enormous wave that forms in large bodies of water) the researchers said. And that was likely caused by seismic waves created by the asteroid’s impact. All around the world dozens of sites exhibit a geologic layer that marks the end of the Cretaceous period. These layers are also rich in spherules and minerals that fell to Earth after the impact. And they serve as a sharp contrast between global diversity as numerous species of plants and animals disappeared at the end of the Cretaceous, said Kirk Johnson, director of the Smithsonian Museum of Natural History in Washington D.C. in an interview with LiveScience. But what makes the Tanis site so marvelous is that it really is like a snapshot in time, preserving a moment “during the catastrophe itself,” said Johnson, who wasn’t involved in the study. For DePalma, it opens a window into what can happen during a global extinction event, and possibly offer clues on how to deal with the extinction event we’re faced with now. “If we can understand how the world responds to things like that, we can understand how we might begin to deal with an extinction-level event today,” he said. The Cretaceous was, in so many ways, different than the world today. But like today, it was full of beautiful and diverse species all tasked with facing down extinction. It will be fascinating to see what the scientists learn and if we will be able to use this knowledge to protect Earth’s precious biodiversity. Siguiente entradaSiguiente Los científicos hacen un descubrimiento fantástico: un “cementerio de fósiles” que contiene muchas claves del pasado de la Tierra.